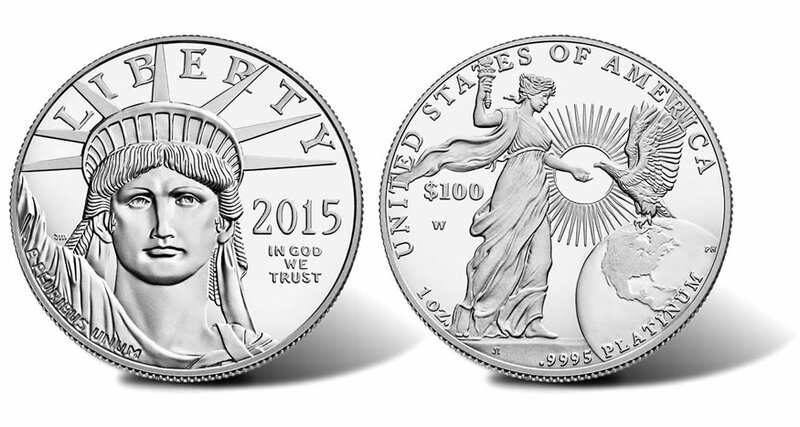 Within 7 minutes of its Thursday launch, the 2015-W $100 Proof American Platinum Eagle sold out. Released at noon ET, all 4,000 coins were produced and sold, the U.S. Mint confirmed. We’ll provide more details as they become available, and we plan on publishing photos of the coin as soon as possible. In other news, the latest sales figures from the United States Mint show higher and wider weekly gains from commemoratives to annual sets to gold and silver coins. Nearly 66% of the agency’s collectible products posted stronger weekly totals. And they come in the wake of two straight weeks of decently better product gains. Sales saw support from holiday-themed catalogs that the U.S. Mint mailed toward the latter part of November and traditional hustle and bustle shopping around Black Friday. The U.S. Mint published sales updates to 244 numismatic products. One hundred and sixty of them outperformed their prior weekly sales compared to 97 previously. Twelve of them increased by more than 1,000 units compared to 8 previously. Four had their sales reduced compared to 7 previously. The 2015-W $50 Proof American Buffalo Gold Coin gained 193 to 16,436. The 2015 Lyndon B. Johnson Coin & Chronicles Set declined 6 to 23,948. The 2014 Franklin D. Roosevelt Coin & Chronicles Set fell 2 to 19,050. The 2015-P Blue Ridge Parkway Five Ounce Silver Uncirculated Coin was unchanged at 17,475. The 2015-W $100 American Liberty High Relief Gold Coin jumped 318 to 45,895. Below are tables showing the latest sales for U.S. Mint numismatic products. The sales period covers Nov. 24 to Nov. 29. Products with an asterisk (*) are no longer available. BFD…….I’ll get when platinum hits $600…. If an old girlfriend shows up on your door step with a three year child its good to know you can still purchase a 2013 Birth Gift Set from the Mint..
Wouldn’t surprise me if this mintage limit and HH limit were advised by the big buyers/dealers who already had their surrogates lined up. What trust exists with the U.S. Mint if the entire mintage sells out in 7 minutes and the restriction on the coin is one per household? So did the coin really sell to 4,000 households, or 4,000 addresses with one credit card of a major dealer or just one address with one credit card…. I think someone should FOIA the U.S. Mint for data on 4,000 households buying the entire mintage when the coins start to sell for double their issue price. This doesn’t smell right at all. I managed to get one. Actually sold out in 4 minutes 30 seconds! Couldn’t access web site directly but through the remind me link. Will keep mine. Of note platinum prices went from $1000.00 or around there to $835.00 today but coin price remained the same. Good job to the Mint! Low mintage, 1st come, 1st serve = value. Even though I missed this one in am happy to see they got it almost all the way right (they just missed the 5 per HH limit). 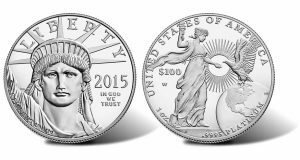 This year’s mintage of only 4,000 American Eagle One-Ounce Platinum Proof Coins is the lowest since their annual mintages began declining each year from 2011. I agree with Tinto, anonymous, Dwight…. I have for some time now, simply loosing interst in collecting US coins period! Its a shame too. These damn coin flippers and big coin dealers (same thing) are ruining coin collecting in my opinion. Just a bunch of greedy SOB’s and the mint is right there with’em. That’ funny Montana. Looking for some earlier birth year sets just in case the kids show up. Proof sets and mint sets used to fulfill this function one might suppose. This was the fifth time the mint did not allow me to order quickly online. They sure know how to make people really mad. They do! You must remember that there is much added cost to someone who is flipping these coins so quickly. Not that I am agreeing to this practice but there are a lot of additional costs to the seller. As always, if you are looking to buy, “Buyer Beware”. The US mint raised the price to $1250.00 for the coin it started off at $1200.00 how can they raise the price if they are no longer available>? Bullion coin prices are on a automatic system that raises the us mint .gov prices according to current silver, gold or platinum spot price. I think its safe to say that these coins are ultra rare and if you were lucky enough to have purchased one, your going to have a great short or long time investment . The price has gone up every day on ebay since the release. currently selling for $ 2200. and thats completed listing. A pcgs 70 will be close to 5000. wait and see !!!! I received my coin yesterday and returned it yesterday! Coin had a nasty planchet scratch from the “T” in Liberty all the way down through the “5” in the date! Seeking a replacement, don’t know if I will get one or not, but this one was not worth keeping! Sorry to hear about the scratch. The US mint should step up the quality control !!!!! My God man they only had to to check 4000 !!!!! Not like 100,000 or more !!! I hope you get a replacement but I dont think you will !!!!!!! I have one I will sell for $1700.00 if anyone is interested.